ZETA ERP lets you jump ahead of your competition with its advanced ERP Solution. The ZETA ERP solutions are faster, simpler, and flexible in business functioning and has a low learning curve. Web ERP helps you to take control of your end-to-end business processes of the enterprise and accelerate your supply chain and reduce overall costs. With the state-of-the-art Zeta ERP, your business will be able to conquer challenges faced by your distribution while controlling costs and increasing profit margins. Zeta ERP offers companies growth with flexible enterprise management. The core of Zeta ERP has got strong financial, operational and Customer Relationship management features and capabilities to successfully accelerate your business expansion. Your Industry Is Growing with advanced ZETA ERP Software Solution. 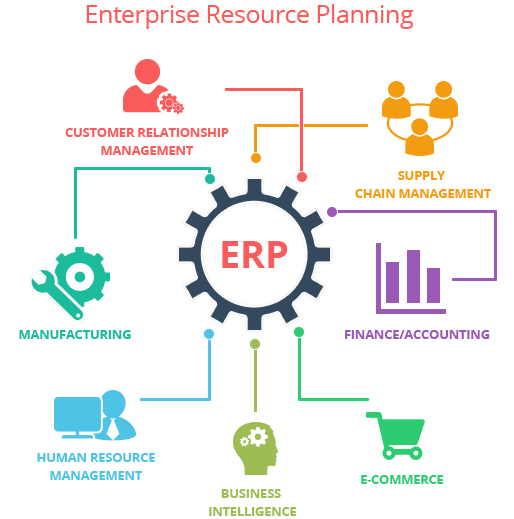 Enterprise Resource Planning (ERP) is business process management software that allows an organization to use a system of integrated applications to manage the business operations and automate back office functions related to technology, services and human resources. Your business should move ahead with increased speed and effectiveness and not be held back due to using legacy systems. Every business has its own internal Solution, which is always lacking in features. With Zeta ERP, all your requirements are met. Zeta Enterprise Resource Planning (ERP) Dubai, helps a business conquer its challenges throughout the wholesale distribution process. It helps to expand your enterprises business in controlling costs and become more profitable. All of this is done through state-of-the-art solutions that are cutting edge and real-time. Do not let legacy solutions hold your business development back to achieve goals and scale new heights. Zeta offers ERP Solutions in Dubai, UAE, Abudhabi, Sharjah, Qatar & Kuwait helps you forge a more profitable manufacturing business by controlling your entire supply chain irrespective of how complex it may be. This results in accurate decision-making as you are provided with up-to-date information. When you have up-to-date information, your business is spared recalls which may be catastrophic in terms of loss. This drives business success, which is consistent and throughout. With processes becoming efficient, productivity becomes a habit and promotes compliance. ERP Software in UAE, Dubai is customizable according to your specific needs. Zeta’s ERP Solution includes modules that are ready for managing the entire business operations. Zeta ERP manages Projects, Manufacturing, Services, Distribution, and Public Services. Zeta believes your business tech should promote minimizing expense(s) and risk(s) to improve future growth opportunities. Zeta ERP is a requisite in keeping your organization’s success on track and ensuring access to data for achieving targets and growth. Zeta believes in the important of having clear visibility in all areas for firm decision making. Our ERP solutions are tailor-made keeping your operational functionalities in mind. Zeta gives you out-of-the-box utility for moving your enterprise ahead. Zeta ERP gives you accurate Project Management details, which includes actual target variance to within a minute faction of error. The process improvement gives high-quality services on time, every time. Our ERP software solutions in UAE, give project delivery in client budget and on time. ERP increases your enterprises adaptability and agility for increased billable hours. With real-time and accurate communication and collaboration, the project delivery is accelerated; informed decisions are taken and results in increased profits. Management is able to take intelligent decisions to improve the overall cash flow of your business. 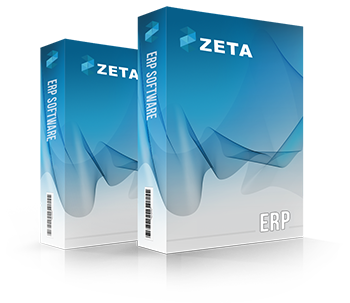 Web Based ERP Software Dubai, UAE offered by Zeta covers everything required to run a business irrespective of the size of company. Zeta ERP can be customized to suite to your exact requirements. Being a Cloud ERP Solutions in Dubai, UAE, it is a less expensive solution, easy to implement and use that effectively maintains the up-front cost of the business with its cost effective features. The enterprise solution offers real time information about purchase, order management, Finance, Employee Management, Inventory Management, E-Commerce and much more.